Molly Parker is a Canadian actress known for her roles in independent films and TV. Check out this biography to know about her birthday, childhood, family life, achievements and fun facts about her. Molly Parker is a Canadian actress known for her roles in independent films and on television. At the age of three, she started attending ballet classes, and when she was 14, she discovered her passion for acting. She often performed in her high school plays and at the drama club. Soon, her actor uncle took her to his agency and she started going to auditions. Gradually, she started getting small roles in television series and movies, both in the United States and Canada. 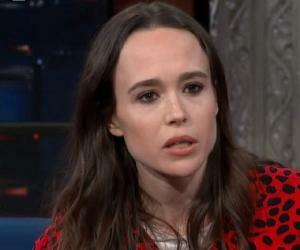 Her role in the film ‘Kissed’, which about a woman who is a necrophiliac, changed her career. It fetched her the Genie Award for Best Actress in a Leading Role. She then made waves for her role in the provocative film ‘The Center of the World’, which earned her a nomination for a Genie Award for Best Supporting Actress. In the United States, this versatile actress is known for playing the role of a widow in the cable-TV series ‘Deadwood’. She also attracted attention when she played the role of the daughter of a lesbian military officer in the TV movie ‘Serving in Silence: The Margarethe Cammermeyer Story’, and earned critical acclaim for her performance. Molly Parker was born on June 30, 1972 in Maple Ridge, British Columbia, near Vancouver. She was raised on a farm in Pitt Meadows, where her parents owned a seafood store. At the age of three, she started attending ballet classes, which she continued till the age of 17. She also attended the Royal Winnipeg Ballet of Canada. When she was 14, she realized her passion for acting and began taking part in high school plays and the local drama club productions. She joined her actor uncle’s agency at the age of 15 and went to auditions, which she found to be fun. Gradually, over the next few years, she began getting small roles in television series and films in the United States as well as in Canada. After receiving acting scholarships and grants, she enrolled herself for a three-year course with Mel Austin Tuck at Gastown Actors' Studio in Vancouver. Simultaneously, she took voice and singing lessons. During the initial phase of her career, Molly Parker bagged some guest roles in TV series like ‘Neon Rider’ and ‘Outer Limits.’ In 1995, she portrayed Alice Ramsey in the episode ‘The Wrath of Kali’ of ‘Highlander: The Series’. Her breakthrough role came when she got to play the role of the daughter of a lesbian military officer in the 1995 television movie ‘Serving in Silence: The Margarethe Cammermeyer Story’. Aired on NBC, the movie bagged multiple awards. Also in 1995, she appeared in the television movie ‘Ebbie’, where she played the niece of Susan Lucci's character “Scrooge.” The movie was aired on Lifetime television. It was a retelling of ‘A Christmas Carol’ by Charles Dickens, with a female character in place of the original Ebenezer Scrooge. 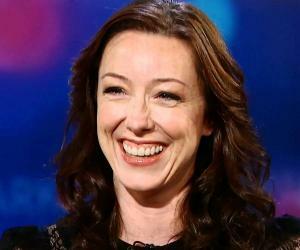 Molly Parker’s role in the film ‘Kissed’ (1996) changed her career. Her cinematographer friend had asked her to audition for a role in one of his low-budget films. This audition led to her meeting with ‘Kissed’s director, Lynne Stopkewich. The film was about a woman who is a necrophiliac. She not only agreed to work in the film but also became a good friend of Stopkewich. Her performance in ‘Kissed’ was critically acclaimed and it opened up many opportunities for her. Egg Pictures approached her for the lead role in the film ‘Waking the Dead’, a love story by writer-director Keith Gordon. In 2001, she played the bold character of a lap dancer Florence in the film ‘The Center of the World’. The film received mixed reviews, and was compared to similar movies like ‘Exotica’ and ‘Pretty Woman’. In the same year, she also did the film ‘Last Wedding’, directed by Bruce Sweeney, and the film ‘Rare Birds,’ directed by Sturla Gunnarsson. Besides her film career, Molly Parker has an equally successful career on the small screen as well. She played a rabbi in the TV series, ‘Six Feet Under’ in which she appeared in the episodes ‘Back to the Garden’ and ‘The Liar and the Whore’. Created and produced by Alan Ball, ‘Six Feet Under’ premiered on the HBO network in the United States and ran for five seasons. 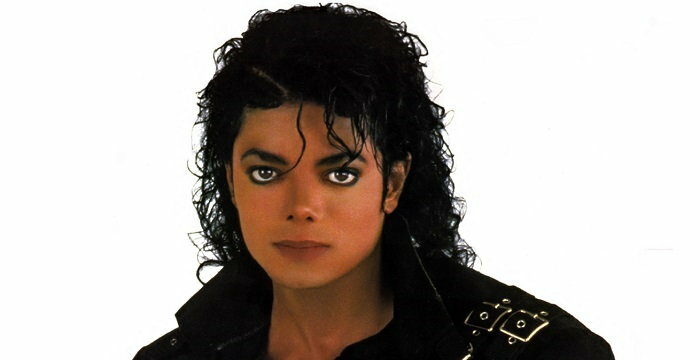 The series was critically acclaimed and was included on TIME magazine's ‘All-TIME 100 TV Shows’. She starred in HBO's ‘Deadwood’ from 2004-06. Created and co-produced by David Milch, the series had 36 episodes. Highly acclaimed, the series won a number of awards. In 2008, she played the main role of Susan Miller in the CBS show ‘Swingtown’. The show was about the impact of sexual and social liberation in the UInited States’ suburban households in the 1970s. The series got entangled in a controversy, with the American Family Association and Parents Television Council protesting against the show. The companies Procter & Gamble and Ace Hardware also stopped advertising on the serial. In 2010, she played the main role of Ella Sullivan in the TV series ‘Shattered’. It was a Canadian police procedural series, in which Molly played the wife of a tough homicide detective who suffers from multiple personality disorder. In 2011, she appeared as Amy Kettering in the TV film ‘Gone’. In the same year, she did four episodes of the TV series ‘Dexter’, a crime drama mystery. That year, she also did the TV film ‘Meet Jane’. In 2012, she played Donna Cantwell in the film ‘The Playroom’, directed by Julia Dyer. On the small screen, she played Pauline Hemingway in the HBO film ‘Hemingway & Gellhorn’. She also played the main role of Abby McDeere in the TV series ‘The Firm’. This Canadian-American TV series debuted on NBC and was later aired on AXN. In 2014, she portrayed a Congresswoman named Jacqueline Sharp in the second season of the Netflix series ‘House of Cards.’ She played this role in the next two seasons as well. Her powerful performance in this American political thriller earned her a nomination for the Primetime Emmy Award for Outstanding Guest Actress in a Drama Series. In 2016, she was seen in the Amazon Video series ‘Goliath’, a legal drama. In February 2017, its second season was announced. In 2016, she was also featured in the Canadian science fiction film ‘Darwin’, directed by Benjamin Duffield. The same year, she played Dalton in the film ‘The 9th Life of Louis Drax’, a Canadian-American supernatural thriller, directed by Alexandre Aja. She played Laura in the Canadian film ‘Weirdos’, which premiered at the Toronto International Film Festival. Her performance earned her a nomination for the Canadian Screen Award for Performance by an Actress in a Supporting Role. In the same year, she appeared as Dr. Sheila Smith in the film ‘American Pastoral’. In 2017, she played Charlotte Boyd in the film ‘Small Crimes’, directed by E. L. Katz. She also appeared as Arlette James in the film ‘1922’, an American horror drama film, released on Netflix in October 2017. In the same year, she did the main role of Alice Olson in the six-part docudrama miniseries, ‘Wormwood’, released on Netflix in December. In 2018, she began playing the main role of Maureen Robinson in the American science fiction television series, ‘Lost in Space’. It was released on Netflix in April 2018, and in May 2018, its second season was announced. She played Evangeline in the 2018 film ‘Madeline’s Madeline’, written and directed by Josephine Decker. The film was first shown at the Sundance Film Festival in January 2018, and then at the Berlin Film Festival in February 2018. The American film was critically acclaimed. One of Molly Parker’s best known films is ‘Kissed’, which premiered at the Toronto Film Festival. It was based on Barbara Gowdy's short story ‘We So Seldom Look On Love’. 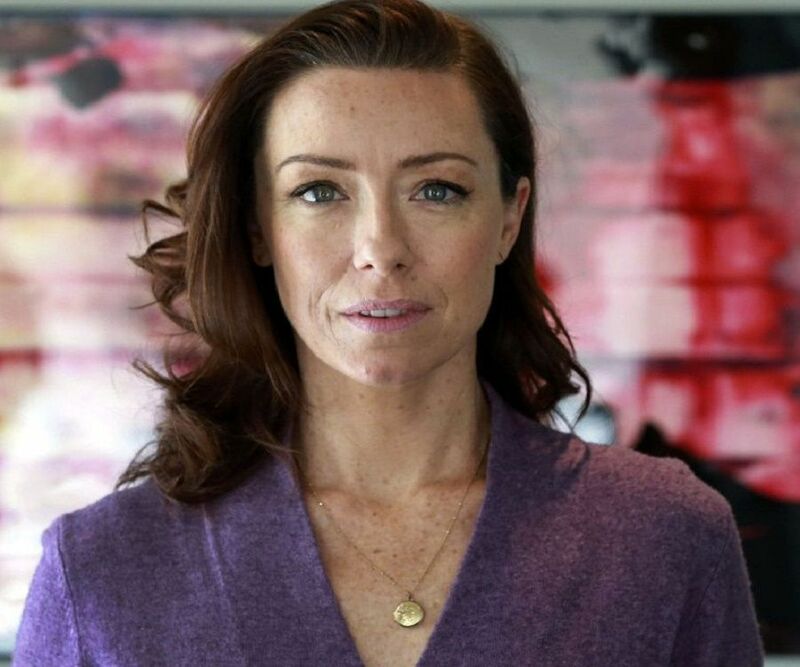 Molly Parker played the role of Sandra Larson, a woman who goes to study embalming at a mortuary school, and finds herself sexually attracted to the corpses. The film also stars Peter Outerbridge as Matt. Critics praised her performance as a lap dancer in the 2001 film ‘The Center of the World’. Directed by Wayne Wang, it also starred Peter Sarsgaard, who played a millionaire who hires the lap dancer played by Molly to stay with him in Las Vegas for three days. The film was screened at the 2001 Cannes Film Festival. She was nominated for an Independent Spirit Award for best female lead for her performance in the film. In 2002, Molly Parker married Matt Bissonnette, who is a director, writer, and producer. They separated in 2009 and ended their marriage in 2012. They have a son, William Strummer Bissonnette, who was born on October 13, 2006.